The High Court has this morning set aside their prenuptial agreement in a landmark ruling in Thorne v Kennedy, a decision that lawyers warn will open the doors to fresh legal challenges by other former spouses. This High Court decision was pre-ceded by the original decision in the Federal Circuit Court, Thorne & Kennedy  FCCA 484, and the following appeal in the Full Court of the Family Court, Kennedy & Thorne  FamCAFC 189. The couple met online in 2006 on a “website for potential brides” when the husband was 67 and she was 36. “At the time, Ms Thorne, who was an eastern European woman, was living in the Middle East. She was 36 years old. She had no substantial assets,” five of the seven judges, including Chief Justice Susan Kiefel, said in a joint judgment. The husband, known as Mr Kennedy, had assets of at least $18 million. He was divorced from his first wife and had three adult children. However, this morning the High Court unanimously set aside the binding financial agreements they signed before and after the wedding because they were the result of “unconscionable conduct”. A majority of judges also said the wife, known as Ms Thorne, signed the agreements because of “undue influence”. The judges agreed that she was “powerless” and had “no choice” to act in any way other than to sign the prenuptial agreement. About 11 days before the wedding, Mr Kennedy told Ms Thorne if she did not sign a binding financial agreement the wedding was off. By that stage, her parents and sister had travelled to Australia for the wedding and were also staying at the husband’s home. An independent lawyer advised Ms Thorne not to sign the agreement because it was drawn solely to protect his interests. She understood it was the worst agreement the solicitor had ever seen, but signed it anyway. She told the court this was because she was dependent on Mr Kennedy and believed she had no choice. She signed it four days before the wedding. 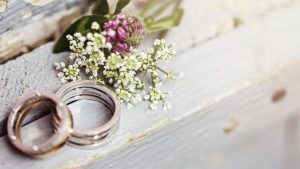 The agreement said the wife was to receive a total payment of $50,000 adjusted for inflation in the event of separation after at least three years of marriage. It also provided for the wife to receive a penthouse worth up to $1.5m, a Mercedes and continuing income, in the event the husband died prior to either party signing a “separation declaration”. The couple separated after living together for about four and a half years. They had no children. The husband died in 2014 and was substituted in the litigation by the executers and trustees of his estate, who were two of his adult children. The Federal Circuit Court set aside the agreements, finding that they were signed “under duress born of inequality of bargaining power where there was no outcome to her that was fair and reasonable”. However, the Full Court of the Family Court of Australia ruled the agreements were binding, and said there had not been duress, undue influence or unconscionable conduct on the husband’s part. The High Court this morning disagreed. It said the primary judge’s conclusion of undue influence was open on the evidence and it was unnecessary to decide whether the agreements could have also been set aside for duress. The case will now be sent back for the Federal Circuit Court to decide how the property pool should be divided between the two. She had sought orders for $1.1 million plus a lump sum spousal maintenance order of $104,000. Prominent family lawyer Paul Doolan said the decision was likely to lead to further challenges to binding financial agreements by others. “The decision of the High Court will likely open the door to many other applications being made in future to challenge prenups,” he said. He said when looking at whether prenups and postnups could be set aside, the High Court had said that relevant factors may include whether the agreement was said to be non-negotiable, the emotional circumstances when it was made including any threats to ‘sign the prenup or the wedding’s off’, whether a party was given time for careful reflection before it was signed, and the independent legal advice received and how long they had to reflect on it.